Though it decided not to hold a press conference this year, Nintendo still promised to make a few waves at E3 2013, opting to showcase its games via a livestream instead. Kicking things off with a big start for the Wii U, we were treated to some footage of new title Super Mario 3D World, which seems to have taken its design cues from 3DS title Super Mario 3D Land, and will be released in December. Nintendo then kept the Mario love coming with Mario Kart 8 showing itself for the first time, and promising to bring anti-gravity racing when it arrives next spring - which, we have to say, looks pretty awesome. 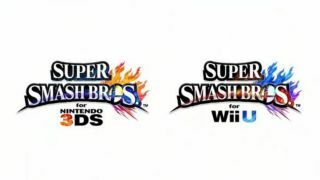 Also entering the arena was a new installment in the heavyweight beat-em-up Super Smash Bros. franchise - the new game is inventively titled just Super Smash Bros. - which will be available on both Wii U and 3DS with cross-platform support next year. The first party announcements came in droves as Nintendo then showed off Donkey Kong: Country Tropical Freeze, a safe-playing number that will also hit the Wii U later this year. And as a reminder that the Wii U will be getting a look in with the multiplats, we were treated to a sizzle reel of third party games include Batman: Arkham Origins, Assassin's Creed 4: Black Flag, and Watch Dogs. However, those of you waiting for the new Wii Party U and Wii Fit U, Nintendo told us that the two have been delayed. Wii Party U will touch down in October, while fitness freaks will get their hit in the winter. Overall, there weren't any real surprises - which is extra disappointing in one of the biggest E3 years ever. Still, there was enough to tide us over for the time being, even if we'll have to wait a while to get our hands on any of the new games.